14Kt Yellow Gold Single Flip Flop Pendant with .05CT Diamond. 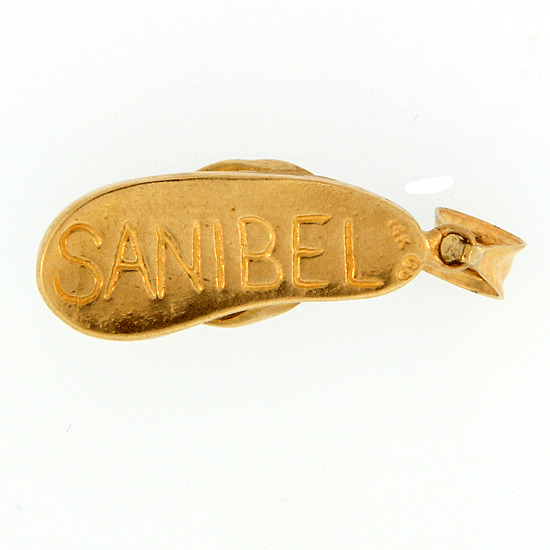 "Sanibel" on back. An original Cedar Chest Design.